Camera Learning. Epiphany after being smug. I thought I could intuit everything I needed to know about the RX10iii and I used about half of that camera's potential right up until I read Alexander White's book about that camera model. The book laid bare to me how little I really knew about fine-tuning the camera and shaping it to fit my shooting preferences. I always espoused the idea of making a cursory run through the owner's manual and then just settling in for some extended use with the camera. And that's just what I did but instead of taking time in each use cycle to get to know another feature or working pathway I found myself using the camera pretty much the same way I've used almost every camera I've owned since the Nikon F5. Why do I date my usage tendencies back to the F5? Well, that's when I felt confident enough with auto focus to capitulate and use it as my default instead of working (as I had) in manual focus. The issue, for me, is that in the days of un-digital cameras the controls were all pretty much the same. Mentally interchangeable. You could easily pick up a Nikon, a Canon or a Leica camera and understand everything you would ever need to know to shoot those cameras. One of the benefits to that kind of uniform control interface is that one could mix cameras with reckless abandon and never face the reality of forgetting where, in a crowded sub-menu, was the control that you were desperate to find. I could easily go from a mechanical Hasselblad to a Pentax LX without missing a beat. Likewise, the steps for using my Linhof 4x5 camera were the same (with the exception of pulling a dark slide) as my Canonet. When we used our cameras over and over again the only thing we were getting used to was how the camera felt in our grasp. Sure, the lenses weren't interchangeable between brands but that never seemed to matter if the acquisition and use of a different brand body came with such a truncated learning curve. I carried that poly-brand camera ethos with me for far too long in the new, menu-driven camera age. I resisted doing the deep dive into menus and features that would have made my work with some cameras more rewarding. Instead, I collected bits and pieces and tried to apply my general approach to all of them instead of focusing on one brand, one menu style, one interface. Now I have exactly six cameras (not counting older film cameras that languish about the studio). All of them come from one maker. All of them were created and had menus installed from the current generation of that company's products. What this means for me is that I can shift from camera to camera and body to body without the frisson of having to remember different ideas about menus and control identification. This makes for a much more fluid use of the cameras in tandem. But it was really just hunkering down and reading White's book that made me chide myself for my shallow embrace of so many previous systems. On recent projects my deeper understand of how to more finely control focus with the RX cameras and how to implement the right look across all the cameras in one project have made a big difference in my final products. A uniformity of look, engendered by a uniform selection of picture profiles, white balances and overall looks makes video easier to edit and makes mixing cameras in still photography productions much, much easier. Recently friends have asked me if I've tried the new Fuji XT-2 or the X-Pro-2 and I have to tell them I haven't spent much time with the cameras. I have a friend who has offered several times to loan me his Leica SL and lens to test out. I paused momentarily on the Amazon.com page for the new Sigma SD Quattro H, before quickly moving on to find more Sony batteries. But the momentary truth is that I seem to have lost my taste for constant camera change, no matter how big the promise, because I know understand the depth of commitment to a system that real mastery takes. In good conscience, and in attentive service to my clients, I can't ignore the potential of the cameras I have and how they can bring better results to the mix, if only I use them correctly and fully. That means I finally understand the benefit of a deep system dive. I keep mentioning the RX10iii because it's a camera like the proverbial onion; it has layers after layers for you to peel back. Using it in raw for stills or in the 4K mode for video is a constant revelation. The better I know the camera the better I use the camera and the more it rewards me. I am more amazed now than when I bought it that its 4K video is so pristine. In a head to head test with my $3200 A7Rii and my recent tests with a PXW-Z-150 video camera I can see no real difference in the files between the two one inch Sony cameras and the singular category in which the A7Rii is demonstrably better is in lower noise at higher ISO settings. Shooting across two disciplines. A few thoughts about using Sony cameras to bridge the gap. Ben uses a Sony rx10 iii and an Aputure LightStorm 1/2 to harvest "texture" shots. A commercial photography changes we are doing more and more video projects and also projects that call for a mixture of both video programming and good photographs from the same engagement. On our previous project for one of our healthcare clients Ben and I wore multiple hats. 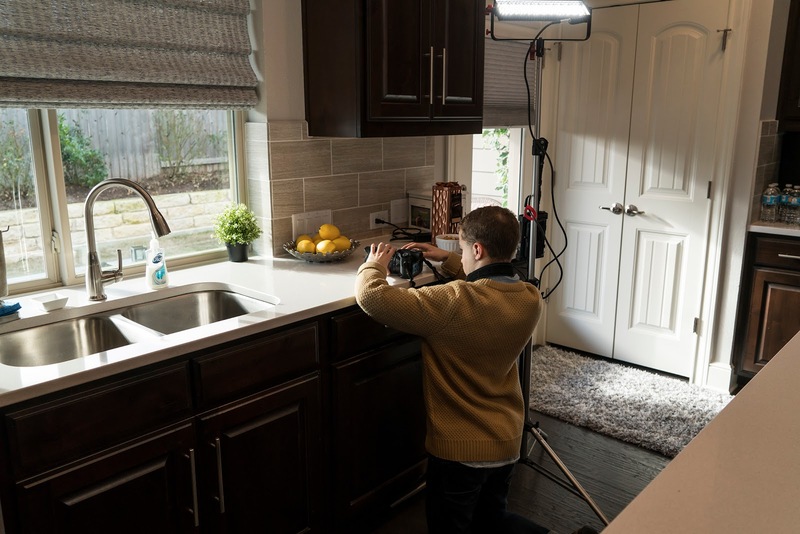 For scenes with our main subject I did the important, direct to the camera, shots with a Sony a6300 while Ben shot different angles and different magnifications with a Sony RX10 iii. We used his shots in the final edit when we wanted to cut away and keep from hanging on one view for too long. Throughout the project we also shot still images. 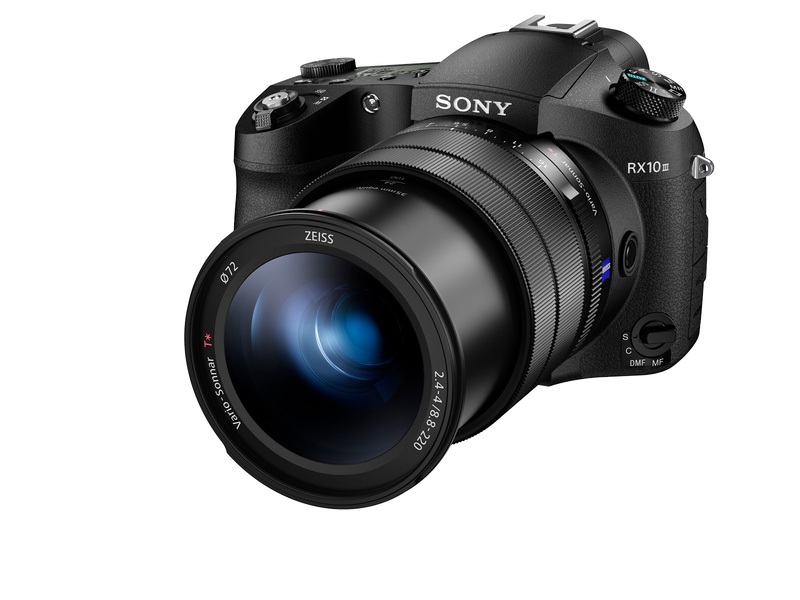 The Sony RX10iii allows me to shoot 1080p video and, while rolling video, hit the shutter button to capture full res, Jpeg photographs (at the highest image quality setting) at the same time. There were no glitches or breaks in the video and, as long as my shutter button pushing was gentle there was not discernible camera movement. This is a very powerful tool. There are times between video takes when we talk to the subject and prep them for a different question. This is also a good time to grab still frames. There is also an automatic setting that I've been experimenting with after reading Alexander White's wonderful book on the RX10iii. It allows you to set the camera so that it automatically shoots frames when the A.I. in the camera determines that a shot with people is good. So, in the video we just finished I had some longer lens shots that featured a woman in a wheel chair, and her friend, walking and rolling up a long, curved sidewalk, toward camera. Following them with the camera while adjusting focal length and making sure they were in sharp focus took all my attention. With the automatic setting engaged I can relegate the timing and the shooting of the stills to the camera and not have to think about yet another production detail. Since the stills use the same color settings, exposure and white balance as the video everything works well. It's still early times for this sort of automation and you may have to intercede to get the shots you want when you want them but it's a much more powerful way to capture concurrent stills than trying to "grab" them from 4K footage. Capturing from 4K with most other camera brands gives one an 8 megapixel file while the capture during video with the Sony gives me a full 17 megapixel image (cropped from the 20 meg image by the 16:9 video crop). At the end of the shooting process our clients get a video time line with all the good footage distilled into a H.264 file along with a folder full of high res still images that are ready for immediate use in social marketing, on websites and even for print. This week I'm shooting in Canada and I'm planning on making much greater use of the ability to create still frames while shooting video. If the camera can effectively take over the actual shooting task for me then so much the better. I need to do a bit of research and see if this feature is also available on the A7Rii as it will be my main "interview" camera. The only restriction I've come across when using the automatic still shot feature is that it cannot be used in conjunction with 4K shooting or shooting a 120 fps (for slow motion). I can live with that. Shooting double is so efficient, both for me and the client. When I work with Ben and we use RX cameras we greatly increase the amount of content we are able to capture for our projects. We both set our cameras to the same profiles, make custom white balances from the same targets and have the same exposure aim points via zebras. This makes editing a lot more effective because everything we shoot cuts together very well. The added bonus, with "auto shot" enabled is that we'll both be generating still images simultaneously. Packed and ready. Flying out in the morning.